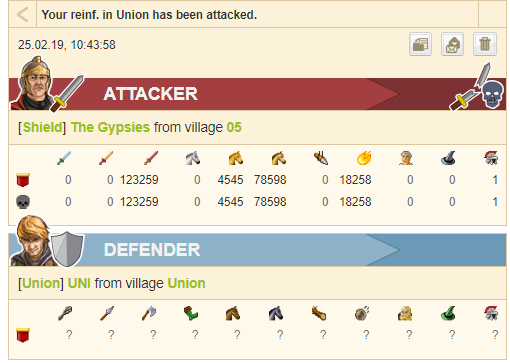 Since the beginning of ww-race the player Strategic with the help of several friends from UNION meta is using an unknown bug. Strategic constantly keeps the WoW under fake of 1 troop, in order to get an advantage that comes from a bug that makes the defenses disappear 'magically'. Here are some screens of the defenses that disappear in a few seconds before and after the fakes of 1 troop. 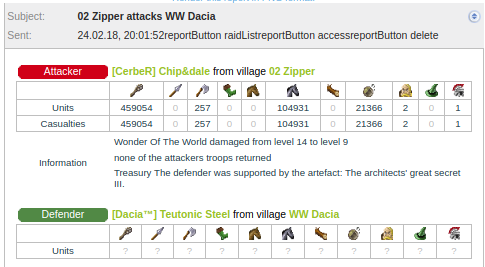 As you can see in a few seconds 1.6kk of defenses disappeared without a logical reason. Clearly this is not the first case, we have no idea how many defenses actually disappeared into thin air for this bug. 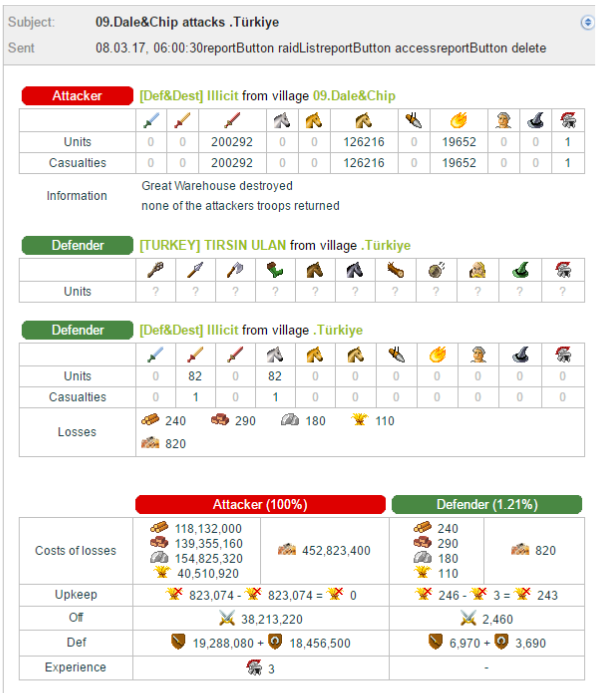 In six minutes, 7kk of defenses disappeared. Needless to say, we expect a rollback at the time the construction plans were unbanned, any other kind of rollback will only be a mockery from the moment that the damage we suffered for having had less defenses at the time when the enemy WWK arrived was much more important than it should have been. 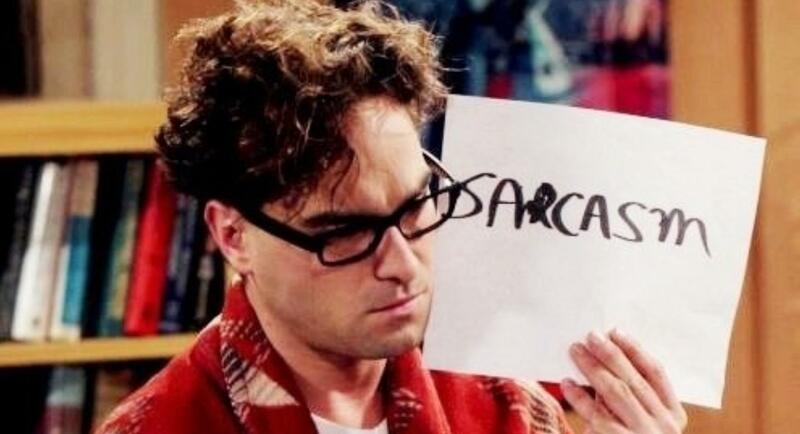 Otherwise we will consider the possibility of deleting our accounts and definitely not playing other finals anymore. yesterday we saw less deff but we tought was starvation, or someone called back deff, but now we know the reason why. we took damages in our ww, you can all simulate hammers with 12-15kk deff more, we would not stay at this level. in order to get an advantage that comes from a bug that makes the defenses disappear 'magically'. Are you even for real? Are you acually that delusional that you think this was known by Strat or any other that sent 1 troop? I do agree that it needs to be fixed however blaming Union to use a bug is just sad. he says he didn't want to do this for this reason, he just sent fakes. I have not blamed anyone for being aware of this bug and taking advantage of it. What I wanted to say is that because of this bug Union had a considerable advantage because their WWK arrived on our WoW with far less defenses than we should have had. PS Rollback in ww race? May be you want to send def to another village in last Union off operation vs Uollas? TG was fix this bug few years ago. Good then we all are on the same page. Hopefully it will get fixed nofun when mass starvasion happend because of a bug. how can 360kk crop goes down in few minutes? TG say they fix this bug three years ago, two years ago and on last finals. How we can dont trust them? I think it's not hard to understand that nothing's been solved. Have you tried to open the links? It seems pretty clear to me. Obv i know how starvation work. Or whats you will do if rollback goes to time when they already sent army? 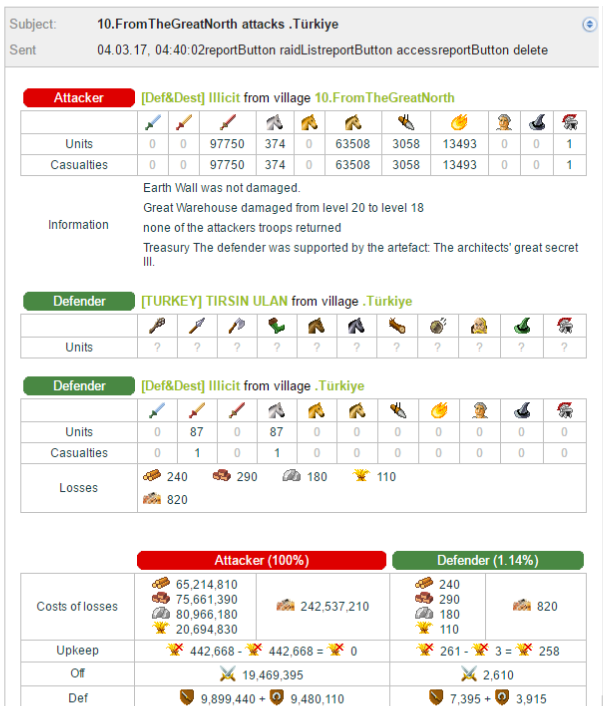 What makes Travian... 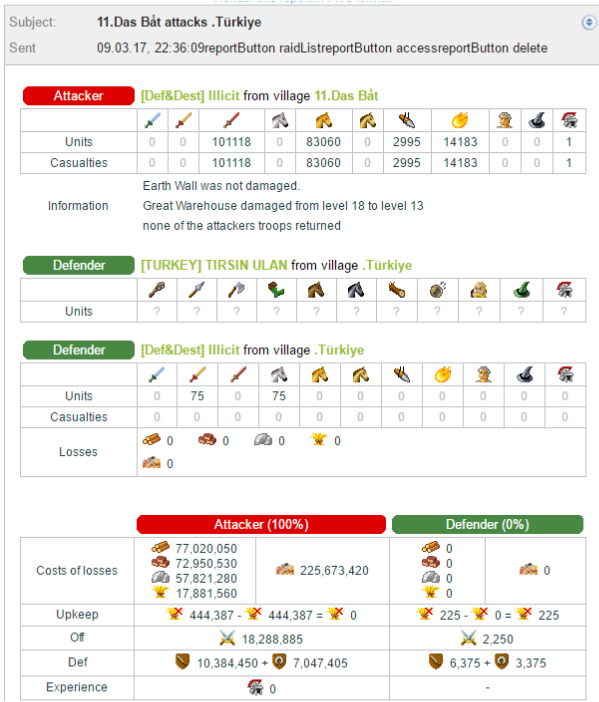 NOTHING.. That is Travian..and thats also the reason why a lot of people turnaround and goes away from this game.. If their armies are already sent, deff are too . Anyway, that was not the topic of this 3ad. You can let granary with 0 crop and see how slowly troops die (and we did, after fakes troops die normally), for sure 7kk troops can't die in 6 minutes. Why players think only about their side? Its bug, tg cant fix it in four years in a row, what do you want here on forum? TG do something and few days later we will have the same. Ameno can write again "we fix this bug". And whats next? Proposta per il tasto "seleziona tutto"